Putnam Lake community and FD comes together to aid volunteer firefighter and his family. The following was posted to the Putnam Lake Fire Department Facebook Page this Morning Saturday February 16, 2019. Putnam Lake Fire Department Deputy Chief and Past President Mike Ercole suffered a medical emergency on Tuesday the 12th which forced him to be transported to Yale New Haven Hospital’s ICU where he is in critical but stable condition. At this time his conditions have not improved but has not worsened. Mike is the head of his household with 4 children and his wife Danielle. The Fire Department and this community is a tight knit family and we are going to do everything we can to comfort and support them through this tragic situation. Last evening the Executive Board of the Putnam Lake Fire Department convened to discuss the needs of the family and what we can do to help. Without knowing Mike’s prognosis, we must start planning short term and long term. 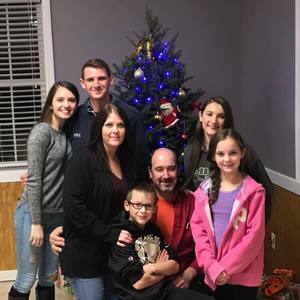 In the mean-time, the Putnam Lake Fire Department Benevolent Association has been able to supply a hotel suite to the family at the hotel connected to the hospital. We will also be supplying the family with a visa debit card to use for transportation expenses and food while at the hospital. Thank you again for helping our fire department family in this time of need. We couldn’t ask for a better community to be part of!